During a recent interview with New Yorks Hot 97 air personality Peter Rosenberg, it seems like DMX hung out with Pookie from New Jack City for awhile before his interview. 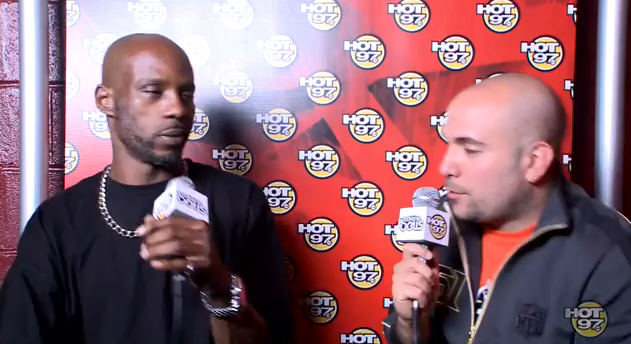 Pop the hood on DMX’s interview…Where the weed at? No that ain’t no weed that’s some of that SUPER DUPER Ooo Wee! This entry was posted in Gossip and tagged DMX, Hot 97 DJ, Peter Rosenberg. Bookmark the permalink. Now why can’t we use the same excuse that the white actors and actresses use? A statement released by his assistant stated “That DMX has been admitted to Cedars Sinai due to exhaustion. X has been working extremely hard lately, this was just a case of him having an allergic reaction to his asthma medication. X would like to thank his fans for their letters and prayers”. No we gotta accuse him of being cracked out on weed and Yack. omg. that is terrible! It’s fer sure crack cocaine.